Little more than a change in public perception stands in the way of one of the greatest triumphs in modern wildlife conservation. That’s what a veritable Who’s Who of leading wildlife scientists suggest in a recent letter calling for restoration of a significant herd of wild bison to the Northern Great Plains. “The greatest challenge to recovery of this species is not biological but rather overcoming the common perception that bison, which have had a profound influence on human history and grassland ecosystems for over 10,000 years, no longer belong on these landscapes,” says the letter signed by dozens of scientists. The scientists addressed their letter to Montana Gov. Steve Bullock, whose administration is exploring the potential to restore wild bison to native prairie habitat – most likely to the million-plus acres of superb grassland habitat in and around the Charles M. Russell National Wildlife Refuge, best known by its initials: CMR. I know exactly what the scientists are talking about. Bison restoration has generated tremendous interest in Montana, including all sorts of meetings, hearings and exchanges in the media. While support is strong, a surprising number of people seem to regard bison restoration as an attempt to “turn back the clock,” rather than – as it really is – an effort to create a better future. It’s been well over a century since the last wild bison disappeared from the Plains – so long that many people think of bison as history. That’s unfortunate because bison very much have a place in America’s future. We all know bison were slaughtered by the millions in the 19th century, barely saved from extinction. 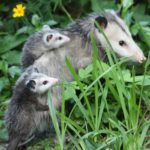 Less well known is that most wildlife in the West was similarly headed toward extinction by the beginning of the 20th century – victims of habitat loss, commercial hunting and competition with (or diseases from) livestock. But look at the West today: Nearly all native wildlife have been restored to abundance in some places, and many species – elk, deer, pronghorns, wolves, bears, among them – restored to widespread abundance. Wildlife restoration was the reason the National Wildlife Federation sprang to life in 1936. NWF has helped lead an amazing wildlife-conservation movement that, through protection of habitat, sound management and reintroduction of animals to former habitat, restored all the West’s big-game animals. Except bison. Saved from extinction in the nick of time, bison have persisted ever since mostly as livestock or as captive animals contained within high fences. We only have a few small populations of truly wild bison in America, and none of those roams free in native prairie habitat. In their letter to Montana’s governor, the scientists point out the glaring omission of bison among the list of restored species. “There is no other native North American wildlife species for which the existing status of bison on the Great Plains would be considered acceptable,” the scientists say. NWF has been working for years to advance restoration of bison at the CMR. The refuge is a vast expanse of top-quality native bison habitat that could easily accommodate thousands of bison. It’s already a wildlife-rich area full of deer, elk, pronghorns, bighorn sheep, among other wildlife. What’s more, as a federal wildlife refuge, the CMR’s mission is conservation and the restoration of native species. Montana’s Department of Fish, Wildlife and Parks is working on an environmental impact statement analyzing several alternatives for restoring bison to a large expanse of suitable habitat. We could see that EIS out in draft form as early as the end of 2014. Public opinion polls show strong public support within Montana for restoring bison at the CMR. But the idea faces fierce opposition from cattle ranchers and their political allies who see bison as competitors for cattle. Detractors argue that the time of the bison has passed, and the prairies belong to cattle now. There’s no shortage of domesticated bison raised as livestock or in zoos, they say, and anyone who wants to see a bison in the wild should go to Yellowstone National Park, where a modest remnant population persists. Fortunately, many people – including a majority of Montanans – see bison in a more favorable light. In their recent letter to Montana’s governor, wildlife scientists say restoring at least one significant wild herd of bison to native habitat is vital to ensuring the species’ long-term survival. Restoring bison means restoring their ecological function to native habitat – something that will benefit an array of grassland species and help scientists learn more about prairie ecology. We can restore bison to Montana’s Charles M. Russell National Wildlife Refuge. We can do this and manage bison every bit as successfully as we manage all the other wildlife we have and enjoy. The hardest part is making sure that the naysayers don’t drown out the voices of Americans who share NWF’s vision of a future for wild bison. Leading wildlife scientists are showing great leadership in speaking out in favor of bison restoration. But your voice counts too. Please take a moment to shoot Montana’s Department of Fish, Wildlife and Parks an email, telling them that you support restoring bison to your public land at the Charles M. Russell National Wildlife Refuge. Send an email voicing your support to fwpgen@mt.gov.